LEXINGTON, Ky., (Aug. 9, 2010) – A significant amount of marginal, abandoned and mined land exists throughout Kentucky and the Southeastern United States. Using this land to produce bioenergy crops could help the state become more energy independent according to researchers in the University of Kentucky College of Agriculture. In a recent study, UK researchers Seth DeBolt, in the Department of Horticulture, and Michael Montross, in the Department of Biosystems and Agricultural Engineering, sought to determine how much of the state’s land is not used for food production and to estimate the amount of bioenergy that could be produced on it. “By using these lands, we’re not competing with lands that are used for food production, woodlands or aquatic systems,” DeBolt said. They found about 20 percent of the state’s land is underutilized, which is twice the global average. A total of 4.69 million acres of agricultural land was not used for food production and 740,000 acres of mined lands exist in the state. 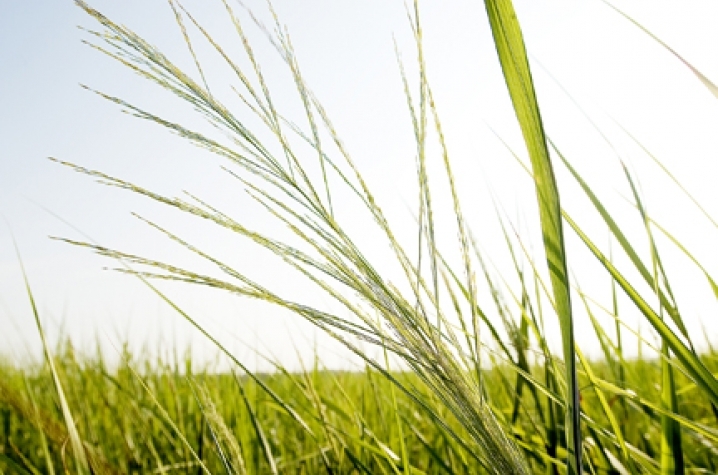 Growing native grasses, such as eastern gamagrass, switchgrass and big bluestem, for bioenergy on this land could meet 17.2 percent of the state’s energy needs. Kentucky could produce 22.8 million tons of biomass with a historical average yield of 4.2 tons per acre. This quantity of biomass could provide electricity to every home in the state, the researchers said. It also would reduce the state’s green house gas emissions by 68 percent compared to gasoline. “If we, as a state, become more energy efficient, that amount of biomass could account for more than 17.2 percent of the state’s energy needs,” Montross said. To calculate these figures, the researchers used historical land use data to find the percentage of marginal, abandoned and mined land in each Kentucky county. Calculations for the land’s potential for bioenergy crops were based on average yields from seven years of other ongoing bioenergy studies at the university. By performing a thorough life cycle assessment, they were able to determine that the bioenergy produced by crops exceeded the amount of energy needed to produce them. This study is just a beginning to illustrate the state’s potential to produce bioenergy. The researchers said further studies are needed before its full potential is realized. The study was published by the journal Global Change Biology Bioenergy in 2009.